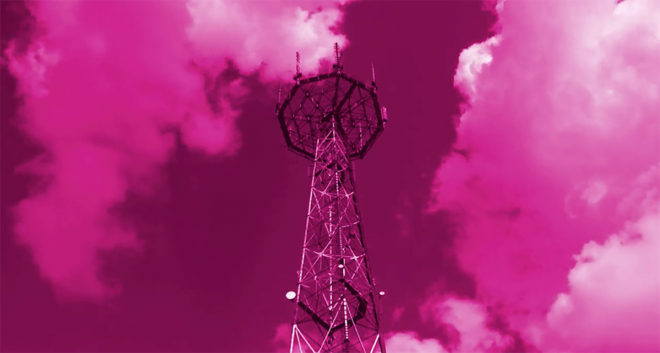 Two weeks after announcing T-Mobile’s previous mid-band LTE capacity upgrades, CTO Neville Ray has confirmed that another round of upgrades is complete. Ray said today that hundreds of cell sites have been upgraded with more mid-band LTE capacity over the past two weeks. These upgrades include PCS and AWS spectrum. The list of markets that benefit from these upgrades can be found below. The cities and towns are sprinkled across the U.S. and include places like Phoenix, AZ; San Francisco, CA; San Antonio, TX; Knoxville, TN; and New York, NY. Tell me about it. Honestly should get rid of all 2g and hspa + they should also put all lte on 600mhz and only give 5mhz of 5G in 2020 at least we would get a year of full lte. But we are dreaming. T-Mobile doesn’t have any dedicated 2G spectrum these days anyways. It’s all in the guard bands. It doesn’t matter how much LTE they deploy, they will always need guard bands. So why not use them to help support legacy devices? After all, it doesn’t cost them any money(It does, but it is a drop in the bucket compared to deploying more LTE bands). However, I do agree on the HSPA/HSPA+ part, the same band 2 and 4 spectrum they are using for HSPA would be better served as LTE, they could easily boost data speed by 75Mbps in some areas(like mine, where it is currently band-12 only, some band 2 a few blocks down, but HSPA+ is going strong on bands 2 and 4). As far as 5G, I don’t get the hype, current LTE can beat all of the early planned 5G deployments. T-Mobile could deploy 5×5 band 12, 15×15 band 2, 30×30 band 4, then add in 20×20 band 71 and 10×10 band 71(they have 30x30MHz but LTE doesn’t do 30×30). Realistically, it would be lower, since it’s unlikely that they have the backhaul to support that(that would be the same with 5G as well). Lastly, I won’t even start on what happens if the Sprint merge happens. That gets them ship loads of new 850MHz spectrum(from Sprint’s aging CDMA and their band 26 LTE), ship loads of new 1900MHz spectrum(CDMA + band 25 LTE), and loads of 2500MHz spectrum(band 41). Adding the Sprint spectrum could get them to 3Gbps in some areas if it was all fully deployed. If the carriers had listened to the ‘why LTE when HSPA+ is just as fast right now’ crowd then we wouldn’t have great LTE right now for people to say the same thing about. 5G will be far more stable and useful with band 71 and T-Mobile will not and should not use all its B71 on something else. Right now T-Mobile is planning on having a minimum of 10+10MHz of low-band (bands 12 and 71) LTE everywhere. In areas with band 12 this will be 5+5MHz band 12 + 5+5MHz band 71. The other 10+10MHz or more (many areas have only 15+15MHz of band 71, all of it in band 12 areas for 20+20MHz total low-band) of band 71 will be used for LTE. This is adequate for now but 5G adoption will greatly decrease the traffic on LTE in the years to come, which in turn will increase available LTE capacity. Agreed on the uselessness of shutting down 2G (EDGE), except where narrow band LTE needs the spectrum (NB LTE uses the guard bands), and that 3G (UMTS, HSPA+) needs to go. I bet not ever see my signal fail as much as i see Houston on these list. If your signal is failing you in Houston, you have a device issue. With a few exceptions on the West Coast, T-Mobile has Florida very well covered. WTF Tmobile ! Northeast Philadelphia NO band 71 at all, Philadelphia and Northeast Philly are totally 2 different places NO band 71 in 19149,19148,19136,19135 and many more !